Big Mountain Teams operate under our Freeride umbrella. Please see below for exciting changes in our Big Mountain Teams, as this part of the sport continues to grow and develop as a competitive program around ski communities! Team Breck USSA Skills progression based program. No IFSA or RMFS event participation. Team Breck Contest included. For athletes interested in competing in Jr. Big Mountain Competitions, Freeski Jr. League, this program will allow you to train for regional Big Mountain competitions. This team's objective is to teach young athletes to ski the whole mountain with ease. We emphasize fun all mountain skiing with the emphasis on skill development and progression. Our dedicated coaching staff are all IFSA certified and either PSIA or USSA certified instructors .Coaching is provided for all training days, 3 scheduled Colorado Regional IFSA competitions and additional winter training camps. This is the best all mountain skiing experience for young skiers. IFSA Jr Championships incurs an additional fee as per the Contest Travel Cost Sharing Criteria. Industry standard for freeski teams. Athlete Age- 11 and younger as of Jan.1, 2019 (U12 Athletes). For athletes interested in taking the next step in the Big Mountain competition series. This team is for athletes in the IFSA 12-18 age categories. 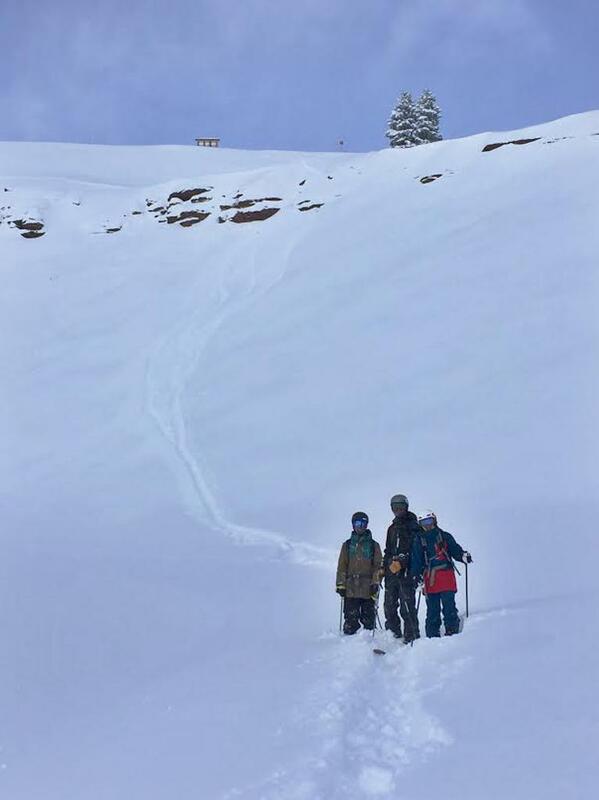 Big Mountain Competition Team includes coach and training fees for the 3 scheduled Colorado regional IFSA Competitions (please note entry fees are the athlete’s responsibility). We emphasize fun all mountain skiing competition for an athlete wanting to train and compete in Big Mountain skiing, with the emphasis on skill development, progression, and competition. Our dedicated coaching staff are all IFSA certified and either PSIA or USSA instructors. Coaching is provided for all training days,scheduled IFSA Colorado Regional competitions and additional winter training camps. National IFSA events are also available for our most dedicated and advanced freeride skiers. These events will incur an extra charge as per the Contest Travel Cost Sharing Criteria. This is an industry standard and common on all teams. National competitions (available to qualified advanced level competitors) and the IFSA Championship (by invitation only) require an additional fee as per the Contest Travel Cost Sharing Criteria. Athlete Age- 12 and older as of Jan.1, 2019 (U12 Athletes). Don your best mountain chic attire for an evening of indulgent Italian cuisine, bubbles, and a silent auction to benefit Team Breckenridge. We are excited to announce our Spring Camps at A-Basin and Summer Camp! Team Breckenridge Sports Club May Spring Camps provide opportunities to all athletes to train within the comforts of a home environment, while gaining important skills and progressions necessary for athlete development in the sport . This is a great opportunity to utilize living in Colorado at affordable camp prices, while athletes are able to gain skills necessary in ski racing without the pressure of in season competition. Our TBK staff believes in the skill development and enjoys this opportunity to work with athletes to improve on skills they will take forward into the new ski season. See below fact sheets and registration link for more information. Summer Camp provides opportunities to all athletes to grow in the sport and as a person, while optimizing training environments and educational progressions on and off the hill. The objective to fully utilize the training environment to grow as athletes, in relationships with teammates and coaches, and gain knowledge of skiing and conditioning potential within the values of Team Breckenridge Sports Team. *** Note RSVP camp attendance by April 15th, Payment due no later than May 20th.